Is getting dressed stressing you out? Is your closet stuffed with clothes, but you can't seem to figure out what to wear? For the past nine years, I've been helping women of all ages and sizes regain their sense of style. 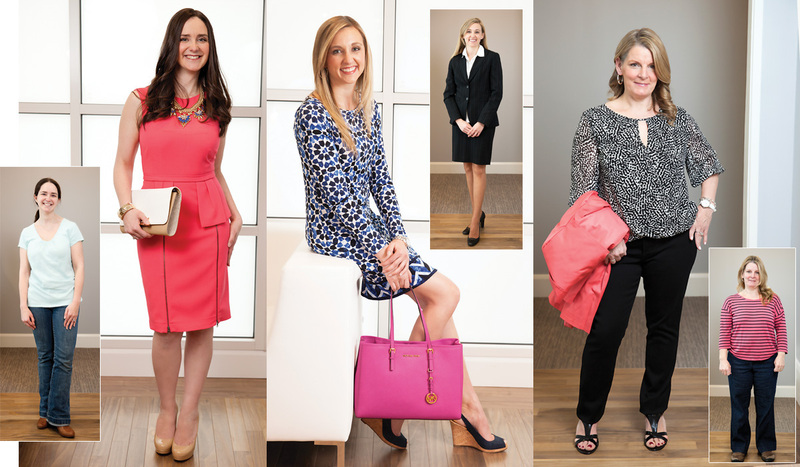 When you love what you wear, your self-confidence will skyrocket --clothes are powerful! It doesn't matter where you live, we can work together via Skype, phone and the internet--yay for technology! A phone or Skype style consultation to answer your most pressing style questions and to get ideas for revamping your wardrobe and determining your best style and colors. You'll begin by filling out an in-depth style questionnaire. We'll then schedule a 30 minute consultation to discuss your style needs and answer your questions. To follow up, you'll receive a list of shopping links and a"style vision board" to give you ideas and inspiration for your new look. Don't see what you're looking for? I can create a package that fits your personal needs. Email me at susan@agreatnewlook.com for more information. Some of Susan's style make-overs. Photos by Emily O'Brien Photography.